MOSCOW, the Russian Federation (BulgarianMilitary.com) – The contract for the production and delivery of the second batch of the 5th-generation Sukhoi Su-57 fighter aircraft for the Russian Aerospace Forces, will be signed next year. This was stated today by an unnamed source from Russia’s aircraft manufacturing industry, cited by the state-run news agency TASS, learned BulgarianMilitary.com. According to today’s statement the second contract, under which 13 Su-57 fighters will be manufactured and delivered, is about to be signed in 2020. Some of these 13 fighter jets will be equipped with the second-stage engines. The source also reveals that the preliminary timeframe for the new contract is five years. Under the first contract, the Russian Air Force expects to receive two aircraft in 2019 and 2020 respectively. “In line with the contract signed in 2018, one serial Su-57 jet with first-stage engines will be delivered to the Russian Aerospace Forces this year, the other aircraft featuring the same type of engine – in 2020,” the source said. Thus the serial production of Russia’s Su-57 stealth fighter is delayed until at least 2020. Initially, Russia’s Ministry of Defence planned to sign a contract with United Aircraft Corporation, for the procurement of an initial pre-production batch of 12 Su-57s by the end of 2018, but the earlier reports that such a deal has been concluded appear to have been false. Russia’s Defence Ministry also announced that it would no mass-produce the Su-57 in 2018. The aircraft’s manufacturer, the Russian aerospace and defense corporation PJSC UAC declined to comment today’s statement. 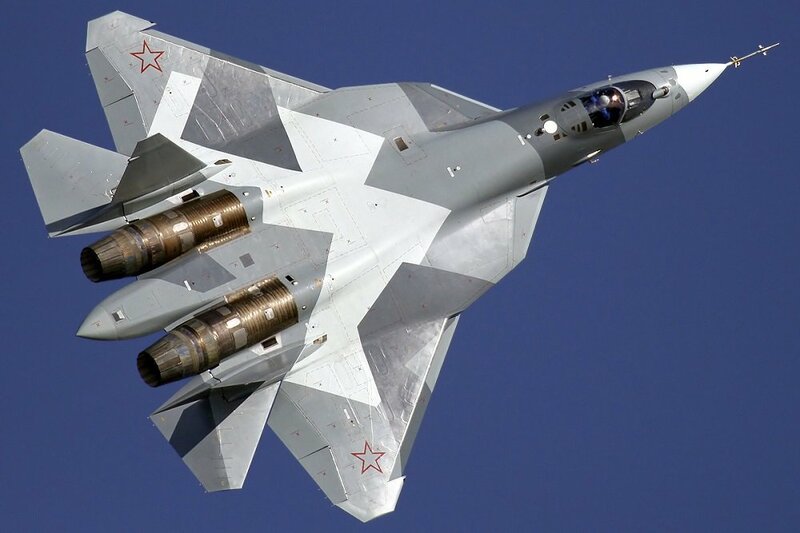 The 5th generation multirole fighter Su-57, which is designed to shoot down all types of air targets at long and short ranges, as well as enemy naval and ground targets, was originally slated to replace the Russian Air Force’s current fleet of MiG-29s and Su-27s by the end of the 2020s. The plans were 150 aircraft to be inducted during that decade, but later the number was revised to 55. In comparison to its predecessors, the 5th-generation multirole fighter Su-57, features functions both of a fighter jet and of an attack aircraft. Its aerodynamic configuration along with the use of innovation technologies and composite materials, ensure low level of radar and infrared signature. The Su-57 has been successfully tested in Syria.